After last weeks ‘making of’, which you can read here, it’s time to reveal this years Christmas card. 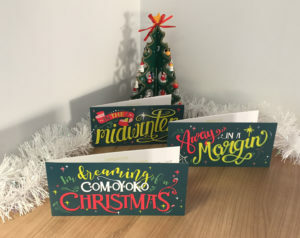 Our cards were posted earlier this week so should be arriving very soon. Which one is your favourite? Can you think of a better pun? Let us know below.